Premier of Nevis Hon. Joseph Parry cleared the air on his upcoming two day visit to Iceland and cited it would be for positive reasons related to geothermal energy unlike the Opposition’s charge that it was for prior lack of research on the matter. 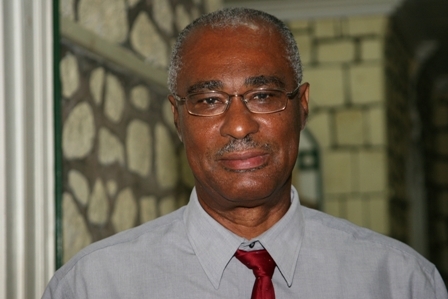 Mr. Parry told the Department of Information on August 14, 2008, on the heels of a National Consultation on the Economy which was hosted by Prime Minister Hon. Denzil Douglas at the Marriott Hotel in St. Kitts earlier that day, that he explained to the forum why he found it important to accept an invitation to visit with the government of Iceland. “I am not going to Iceland because we have a problem or we did not do proper research at the beginning. I am going to Iceland for positive reasons and I want the public to be quite clear on that and let me finally say as far as this is concerned I like to define myself, I think I can speak very well I don’t need the Opposition [Concerned Citizens Movement] to define me. They seem better defining me than doing the work they should have done in the last 14 years,” he said. The Premier said in his view, that it was important to garner first hand information of the impact that geothermal energy had on the economy and the society from another island that was advanced in that area. “You need to have an idea because it would not only mean more employment, it would mean more need for schools perhaps, more need for policing, more need for recreational facilities things like those so if you have a place that went through that experience you would want to see what happened, how it impacted n the population etc. and how they coped with it and so that is why I am going to Iceland,” he said. Meantime, Premier Parry described the National Consultation as useful and pointed to a number of other matters he discussed that were relevant to Nevis. He also disclosed that Nevis had planned its second similar consultation in October. “My presence was somewhat different in the sense that I gave a Nevis perspective but we are going to have our own consultation this year in October. It was useful to be there because we heard their concerns which are very similar to ours, the crime, economic development, high cost of food, the change in the price of oil issues like those and it was useful to have that type of exchange and to be present and to see how they hope to grapple with some of these problems. I in turn indicated some of the things we have done in Nevis so it was very useful to both sides I would say. “What we have done in Nevis and what we hope to do in Nevis. I specifically focused on the spike in crime that we had a few weeks ago and the immediate steps that we took and the long term steps that we have to take…We discussed high prices and the measures that have been taken at the Federal and local level. I discussed geothermal, that was very crucial to my presentation and what geothermal can do for both [Nevis and St. Kitts] islands,” he said. The National Consultation on the Economy sought give stakeholders the opportunity to make an input in preparation for the Federal Government’s next budget session.